I'm gonna' prove that I can do anything with this cone on. 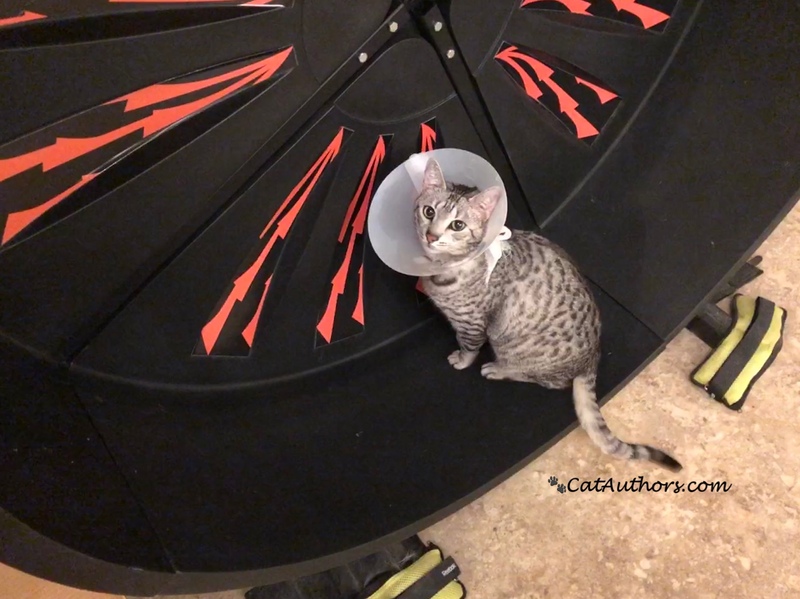 I can run on this exercise wheel. Yes I can. Just watch. So what if I couldn't jump into the stroller. I'll figure it out & jump in there later today. If not today, tomorrow. There's not a cone in the world that can stop me from doing what I can do without the cone. Besides, running on the exercise wheel is totally my fav thing. Sophee & Gracee run on it too but it's MY wheel, if you know what I mean.